This review is about item#32579005. Especially it repeats without a problem and I am using with confidence. It will be saved if the price goes down further. This review is about item#32579486. I was relieved to have prompt response from order to delivery. This review is about item#32579461. I used 35 m out of 100 m and used it as a rotator to rotate the goat antenna for wireless. It can be used like the manufacturer's net product and has sufficient performance. This review is about item#32579154. Of course, you can use it without any problem. It is saved because you can have the stock and deliver it immediately. This review is about item#32579583. Although it is inexpensive, there is no trouble at all in use. Because it is expensive at the cut-out, I purchase it with 100 m volume. This review is about item#32579355. Although it is the third purchase this time, the product is solid enough to be cheap, durable and very satisfying. This review is about item#32579224. As it is 100 meters, I plan to use the lighting in the garden and the night light in the house up to 30M I want to expand the range. It is cheap and saved. This review is about item#32578996. It is somewhat cheap and good, and it is saved because it can be used with no problem at all. This review is about item#32579346. It is used for control wiring. I bought it because it is cheaper than the local DIY shop. This review is about item#32578987. This is enough if the total agricultural work of individuals is 10 kilowatts in total! Cost performance is outstanding. Wiring processing can be done by myself in this degree, and usability is good. Even in cold climates it will not get harder than cold. This review is about item#32579477. Because the number of times to bend is so great that it will expire in 2 to 3 years, so is there something more durable? This review is about item#37628175. I wanted a slightly thin straight, I wanted a thing with eight cores and a shielded wire rolled. This review is about item#37628141. I am using the remote control construction of the air conditioner without any problem. It is still nice if there is a good 10 volume set. I used it for the speaker cable. Cable is also soft feeling good. It is also hard to get in the habit. Although it is not the original usage, it is compact because it becomes wide with 3-core VCT cable. This review is about item#32579251. I used to connect many extension cables up to now, but it got disappeared on the way and the usability was bad. 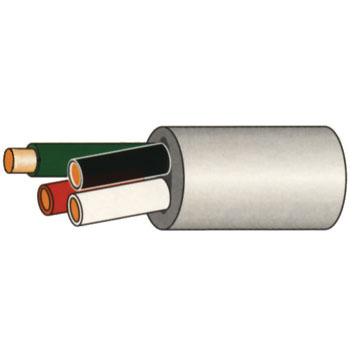 We also sell reel wrapped cables of 50 meters, but the thick one is purchased for self-making because of the high price. The cable itself is so soft that it can be easily handled. The film is also firm and can be used with confidence so that it can take time to process. The price is reasonable and good. It is even better if you offer more cheaply in 10 volumes set etc! This review is about item#32579102. There is no problem in initial use. It is saved for a few purchase, short delivery time.